A cup - is ideal for specialist requirements such as baroque style, achieving a typical alto trombone timbre and great support and ease of upper register playing. Following the K&G performance principles, using a shallow cup, a bright, clear, compact sound is produced, whilst giving the unique K&G mouthpiece performance characteristics. B cup – The B cup is an excellent all round mouthpiece. The choice of many trombonists for solo or lead line playing in both orchestral and big band situations. Extremely flexible in its performance throughout the playing register, the B cup gives a rich sound projection and maintains all the K&G design and performance principles. 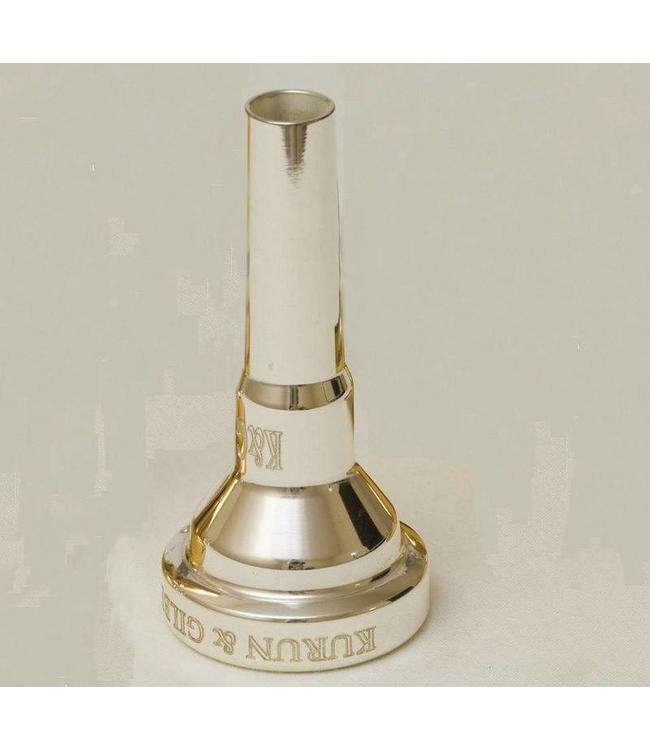 C cup – The most popular of the K&G trombone cups. Providing a little warmer, mellower sound, the C cup gives very clear articulation, attack and excellent flexibility. This design allows the performer to achieve a soft tone and at the same time produce a broad sound, whilst supporting the player with clear and defined attack and ease of playability. A very popular cup suitable for orchestral, big band and chamber performances. D cup – The deepest cup of the K&G trombone family providing a darker, large sound with an excellent lower register. This cup matches the cup size of the K&G bass trombone D cup with a smaller throat thus providing more control and clarity of attack.